1Not available with lease and some other offers. See dealer for details. 2Must finance through GM Financial. Some customers may not qualify. Not available with some other offers. See dealer for details. 3See dealer for details 4See dealer for details. 1Not available with special finance or lease offers. See dealer for details. 2Not available with special finance or lease offers. See dealer for details. 3See dealer for details 4See dealer for details. 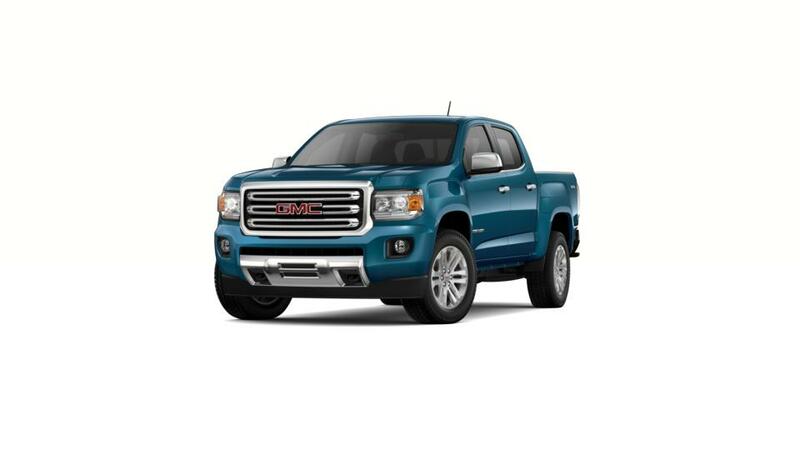 Why is the GMC Canyon truck so desirable for Shillington drivers? •	The Canyon is a mid-size pickup that is adaptable and dependable. •	With a max trailering capacity of 7,700 lbs., it is able to haul weighty loads with ease. •	This work-friendly truck has a cabin designed with noise and vibration reduction in mind, so you can have a quiet and comfortable ride even on rougher roads. •	Technology buffs can take advantage of an available onboard 4G Wi-Fi hotspot and the ability to connect up to 7 devices to access music and apps on the go. Look through our inventory of new GMC Canyons near Redaing to select the color and options that will work for you. Call us at (610) 370-6699 for additional details and to schedule a test drive.